Yeast naan is an unleavened Indian flatbread which is very popular in restaurants. Naan’s can be made with yeast or without yeast. In this recipe, I used yeast and prepared this whole wheat yeast naan which was served with mutton and shahi kofta curry. Due to digestive problems, I get after consuming refined flour I am bound to use whole wheat flour most of the time. For Y I wanted to make Yogurt paratha, but on weekend we had to go to a friend’s place for the potluck. And then yeast naan came in my mind. Though I was hesitant to serve in 10 person’s gathering, my husband gave a green signal. This is the same way I prepared Xmas Paratha. Check more paratha, stuff paratha recipes under Indian Flatbread category. To make this yeast naan, whole wheat flour was kneaded with yeast, curd, salt, and sugar. Rested for an hour to let the yeast work on. After an hour punch the dough to release the air bubbles and knead just for one minute. Divide into equal portions and cook like normal paratha. Must say whole wheat naan has come out so soft and fluffy, definitely, it is not as stretchy as refined flour naan. So let see how to make whole wheat yeast naan. First of all in a mixing bowl gather flour, baking soda. Combine nicely. In a bowl add yeast, sugar, and salt. Add 1/4 cup warm water and mix nicely. Cover it and keep it for 5 minutes. After 5 minutes yeast should be bubble up and frothy. After an hour punch the dough to release air and knead for a minute. Whole wheat yeast naan dough is ready for further use. Divide the dough into equal parts. I made 6 naans with this dough. Heat a griddle on medium heat. Dust the rolling surface and roll into 6-7″ oval shape. Transfer it to the hot griddle. Spread the butter on hot naans and sprinkle chopped coriander. Yeast naan or whole wheat yeast naan is ready to serve. My stove is electric so could not make it on the direct flame. Use of sesame seeds is completely optional here. Yeast naan is an unleavened Indian flatbread which is very popular in restaurants. Naan's can be made with yeast or without yeast. I think the naan tastes the best with the fermentation with yeast. Those Naans look amazing and I am craving for some paneer subzi and that naan. You have made it so well. Thanks you for loving this naan recipe. Yeah I am planning to make one without yeast too. The naans look very inviting and kids will love it..making it with whole wheat is surely a good move! Thanks for liking whole wheat naan. Yeast naan looks so yum and making it with whole wheat is sure a win win for all. Would love with some Chole Masala. Thanks Renu for appreciating yeast naan. Yeasted naan looks so inviting and a nice pick for the alphabet Bhawana. Thanks PJ for liking yeast naan. I like making wheat naan over plain ones. Yours have turned out superb. I always prefer the yeast naan to the baking powder one. They turn out really soft and yum. Yours has turned out perfect.. Thanks Gayatri for liking yeast naan. The yeast naans look scrumptious , all buttery they must have tasted absolutely amazing . 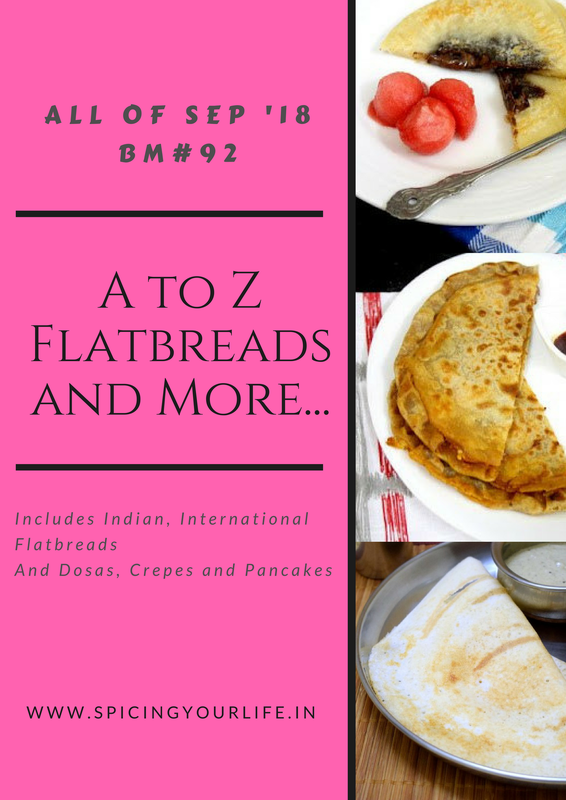 Yogurt paratha too is a lovely option , but to use Yeast for Y is a great idea . I stuck to Yellow ! Thanks di for liking this yeast naan choice. Thanks Priya for liking my whole wheat naan recipe. I always tend to skip plain flour as well. The naan look very appealing and tempting too. Good pick. Thanks Harini for liking whole wheat naan. That is super easy and healthy. Thanks for sharing the recipe. Will definitely try it out. Thanks Shalini for liking. Actually this whole wheat naan came out great. Looks very interesting. I’ll try this very soon. Wow! just looks perfect for hunger! The yeast naan looks lovely. I have never seen using both baking powder and yeast for the naan….that’s interesting. Nice pick for Y!! Sowmya I made this whole wheat naan with pizza dough.